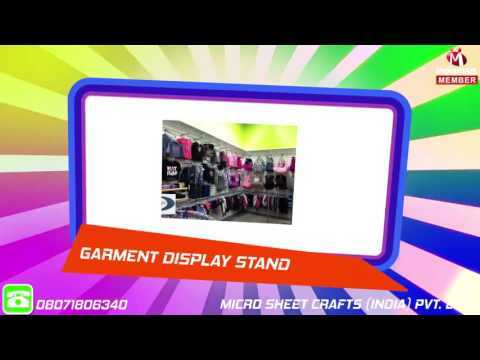 %u201CMicro Sheet Crafts India Private Limited%u201D an ISO 9001:2008 is well-known entity established in the year 2006, at Delhi, India. We are a prominent manufacturer, importer, service provider and wholesaler of high quality range of Storage and Display Racks. Our product range comprises Display and Storage Racks, Shelving Units and Perforated Sheets etc. Our complete product range is manufactured using the finest quality raw material, which is procured from some of the most trustworthy and certified vendors of the industry. These products are manufactured by our highly skilled professionals in our sophisticated fabrication unit. Advanced technology and latest machines & equipment are used to manufacture these products in accordance with the international quality standards. Offered product range is extremely valued by our esteemed clients for its reliable performance, compact design, durability and longer service life features. These products are available in various dimensions and patterns as per the varied requirements of clients.